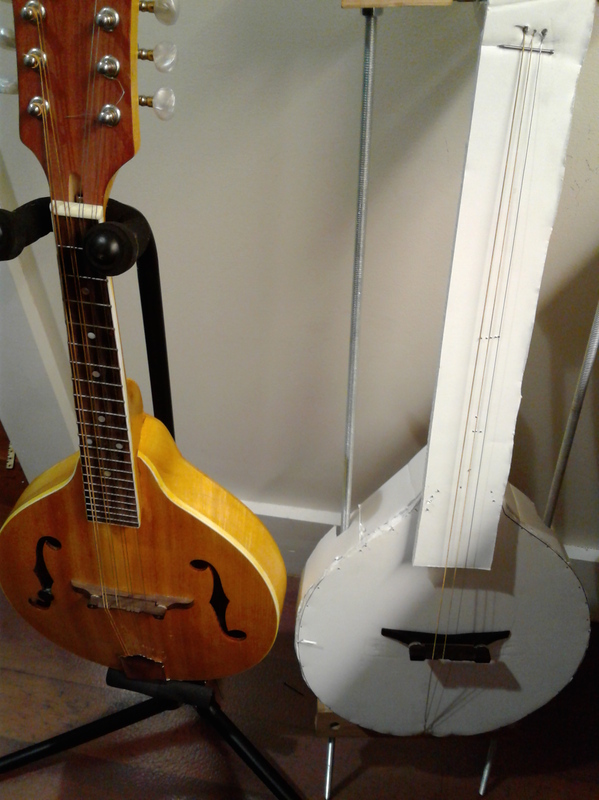 This will become your main instrument, and you will like it more than the bowback mandolin. I didn’t believe him. After a week of playing, its true. I love this Mandolin. + All the time spent on the project was enjoyable. + Using Google Helpouts and having Hustler Guitar give advice on the build. In particular, his advice on the finish. + Original action on the strings & frets were too high and hard to play. + The neck joint was a pain to put together, and the angle was a bit off. + Scratches around the neck joint. Too forceful with sandpaper. Here is a video of the kit before I got started. You can order the kit on Amazon.